On this blog on the 1st I did a launch day extra using the new collection. For that I did a quite brightly coloured, digital, scrapbook layout. So for my post today I decided to try and inspire you with items from the collection used in quite a different way. 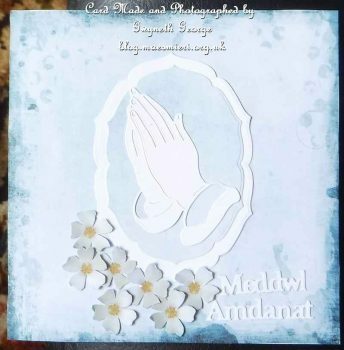 I decided to use a limited number of items from the collection, together with cardstock, an embossing folder, and some dies to make an engagement card and a sympathy card. Items from the “A Taste Of Summer” collection available – here – in the store. I used my Hougie Board to measure and score 2 x base cards of near enough 6″ square, using my scissors to cut off the extra. I printed out two of the square panels from the collection at 6″ square and cut these out and stuck the bright one to the front of one of the cards using fingerlift tape. 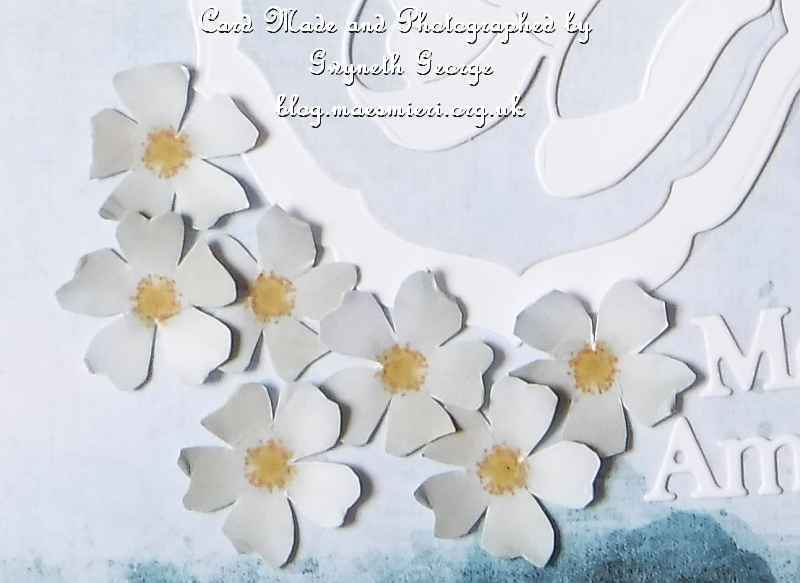 I’d bought a small Baby Blue cutting machine when it was on offer so that my youngest nephews could have it to craft when they wanted to, but I wanted to show a way that by playing around the smaller machines could be used to decorate larger pieces. For the second card I took the 2nd size down of some nesting dies and drew around the outside of it in the centre of the bluey/grey panel and cut it out roughly using a craft knife. I then put the die on this cut out piece and put it through the Baby Blue to cut it properly. I cut out the largest of the nesting dies from a piece of the white cardstock. Using fingerlift tape I stuck the gutted piece of cardstock onto the front of the card, placed the white mat to cover the hole cut in the centre then put the piece cut from the centre on top. 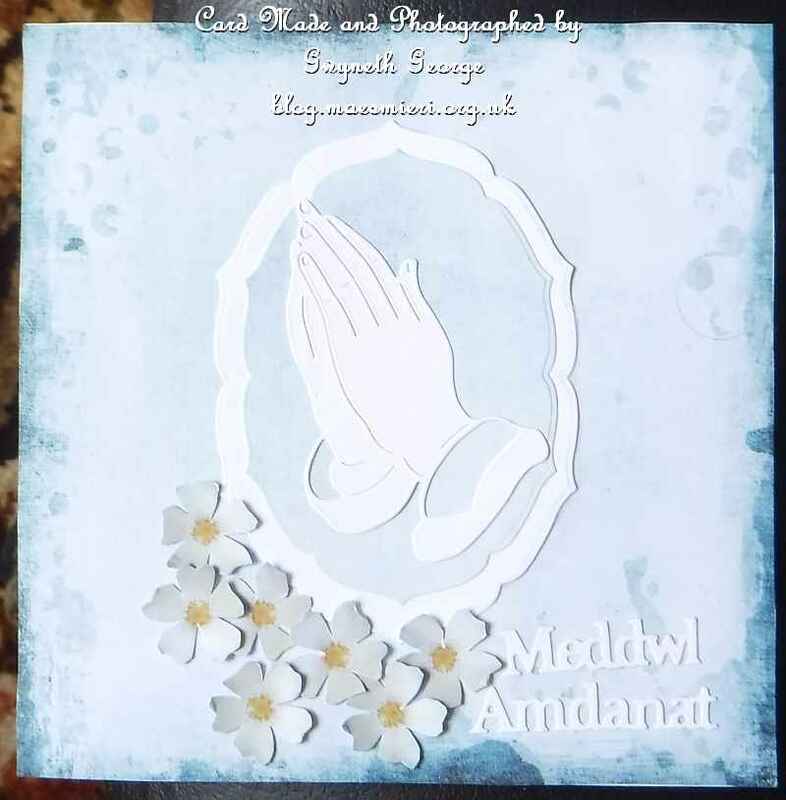 Of course I could have printed out the panel the 2nd time and just cut a piece to fit in the Baby Blue, not used the round about method to gut the larger panel without destroying it, but remember I’m trying to show round about ways of doing larger projects with smaller die cutting machines. 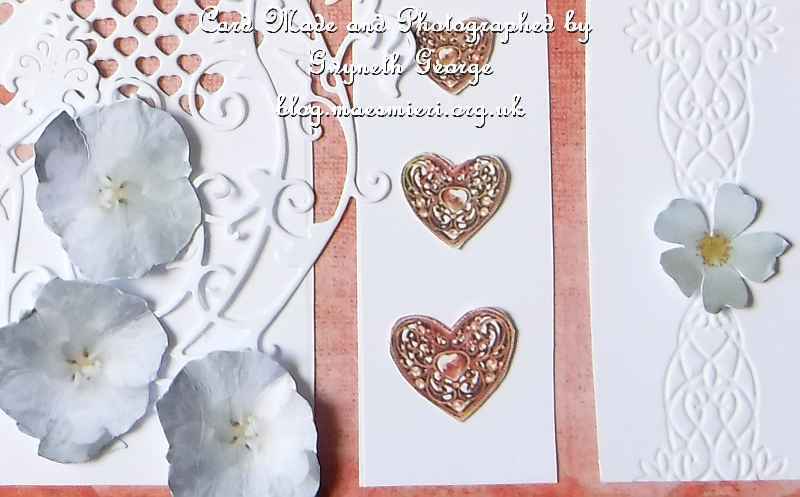 I used the My Craft Studio software simply to place on two different types of flowers from the collection, resizing and copying them numberous times, as well as the hearts element from the collection, until I had a page full of flowers and hearts. This page I then simply printed out onto the same cardstock I’d used for everything else. I cut these out as well. I took some more of the white cardstock and cut out a panel 1cm smaller than the card front. This I cut into strips, cutting 1cm from the edge of the central panel. I put one panel through the Baby Blue in an embossing folder, one with a heart die at the top and another with a melded heart die on it. These three were then stuck to the card front, spaced out so that the background panel could be seen around and through them, using funky glue. 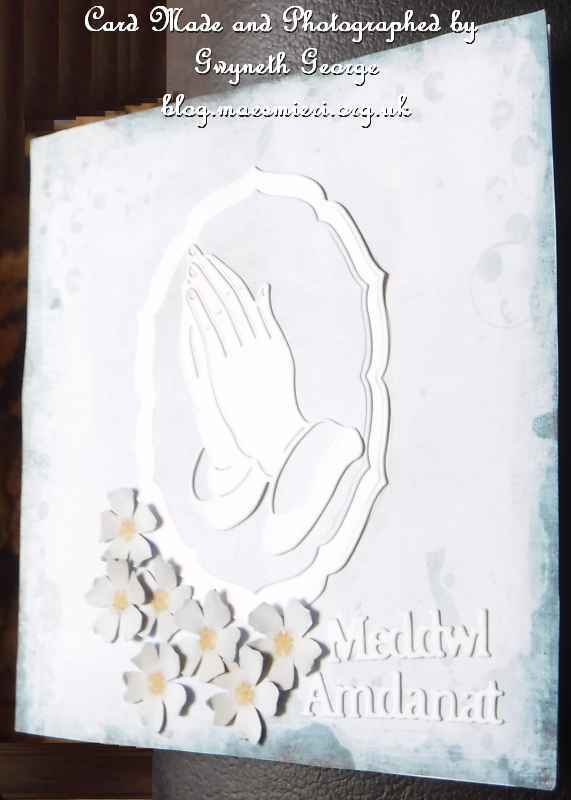 I used more Tattered Lace dies to cut out the praying hands, the greetings, one of them twice, and the flourish. I used a toneing alcohol marker to colour in one of the greetings and used more funky glue to stick it behind the uncoloured one to create a shaddow. I then used funky glue to attach flourish, praying hands, hearts and greetings to the front of the cards, and used glue gel to attach the flowers. Llongyfarchiadau is Welsh for Congratulations. 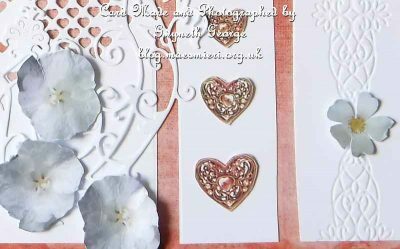 I think hearts and flowers from the collection make a nice embelishment on an engagement card. Meddwl Amdanat is Welsh for Thinking Of You, So I wnated to keep this card quite simple and subdued for this sympathy card. And that is it from me for today. 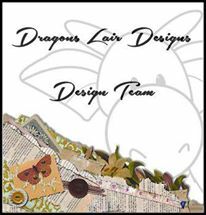 I hope my cards will inspire you to visit the Dragons Lair Designs store and have a play with combining some of the digital downloads available to buy with some of your other crafting equipment to make different creations. 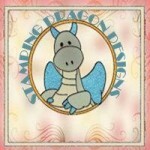 You can also sign up for the Dragons Lair Designs Newsletter – Here! – there’s something free for all subscribers this month. Please visit the “Dragons Lair Designs Inspiration Blog” regularly over the next few weeks as you’ll find various “Inspiration by …” posts appear from the other design team members, and posts from some Guest DT members as well. I’ll hopefully be back posting more regularly over the comming months with Dragons Lair Designs and other crafty makes. And why not join the “Dragons Lair Designs Fan Group” on Facebook. It’s a small, fun, group where we have lots of different activities which include exclusive challenges, lots of inspiration and giveaways – and there’s a loyalty club for those who take part as well where taking part gets you points, winning gets you more points, and get enough points and you get a voucher to spend in the shop. The “Dragons Lair Designs” page on Facebook. We love it when people “Like” us! 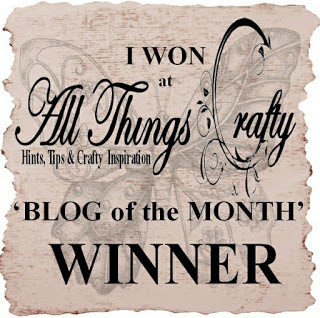 Dragons Lair Designs Inspiration Blog : a showcase/inspiration blog for lots of different crafting made using Dragons Lair Designs.